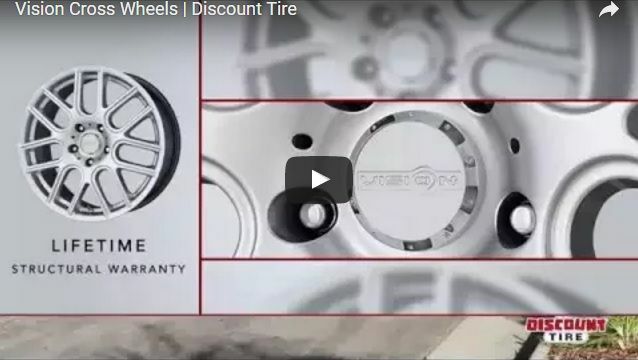 Looking for a clean wheel that won't brake the bank? Then look no further than the Vision Cross and Cross II! 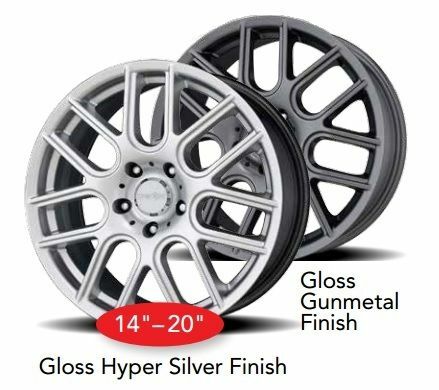 Available in gloss gunmetal (14-inch to 17-inch) and gloss hyper silver (18-inch to 20-inch) finishes, the Cross and Cross II is sure to turn heads and are backed with a lifetime warranty against manufacturer defects. Last edited by Discount Tire; 05-19-2016 at 04:13 PM. Product video added to the OP!